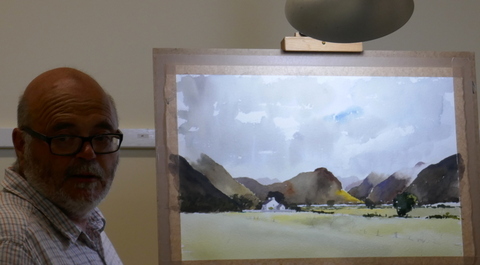 Phil Biggs came from Spalding to demonstrate a watercolour painting around Cummock Water in the lakes. 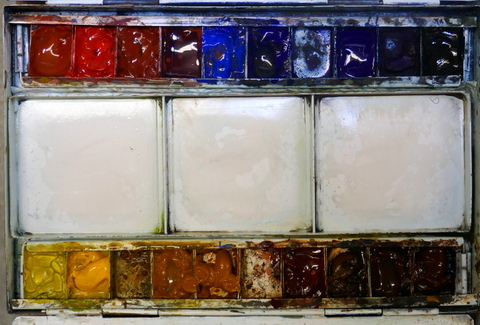 Cadmium yellow, raw sienna, burnt sienna, burnt umber, light red, cadmium red, indian red, cobalt blue, ultramarine blue, winsor blue and paynes grey. 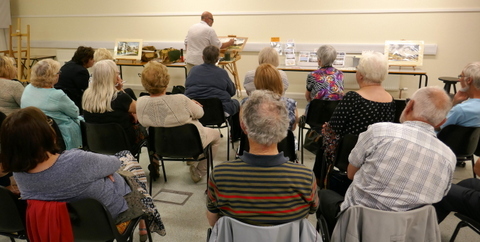 He used various sizes of squirrel mop brushes and Arches cold pressed (“not”) paper. 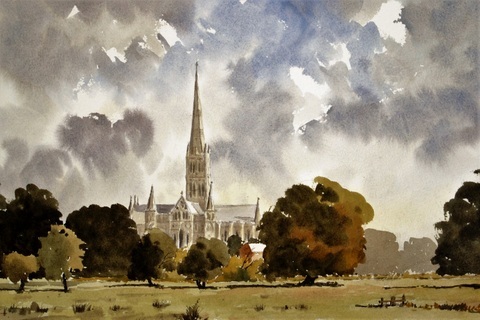 For the sky, he used two greys: burnt umber/ultramarine blue and paynes grey. 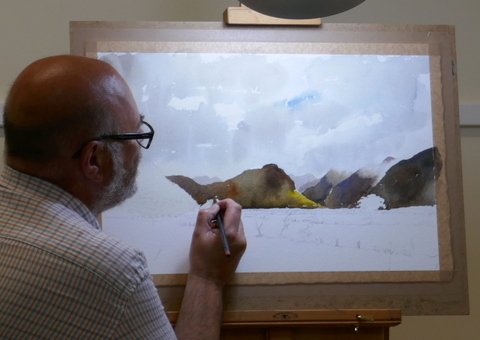 For the mountains, he mixed various colours coming forward from light hills to dark hills: light red/cobalt blue, ultramarine blue/indian red, raw sienna/cadmium yellow and raw sienna/ultramarine blue. 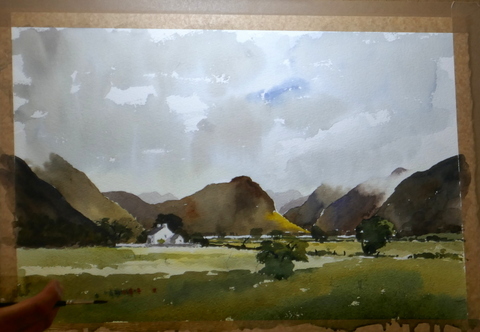 Phil had already sketched the outline of lakeland mountains, trees and a farm. 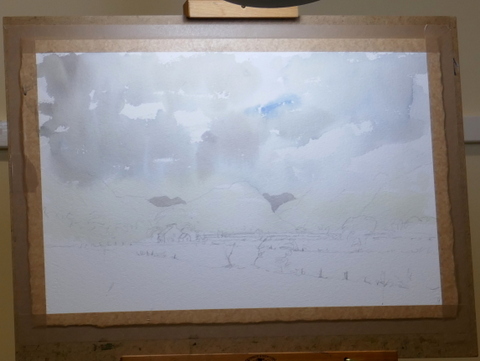 He added some grey and a little blue into the sky and a couple of distant hills in . 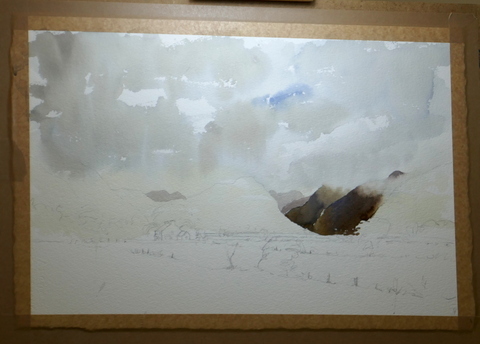 Phil mixed a darker grey for the next layer of mountains, leaving a misty layer. 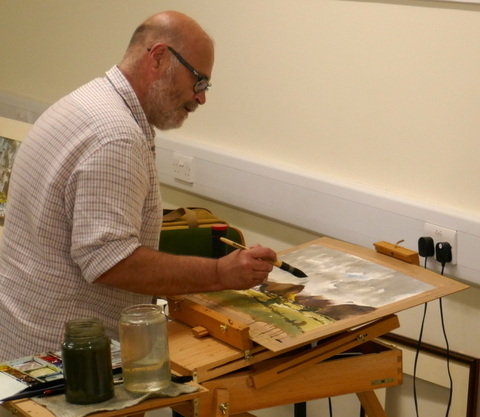 Phil painted the next layer of mountains with hints of green, yellow and brown. 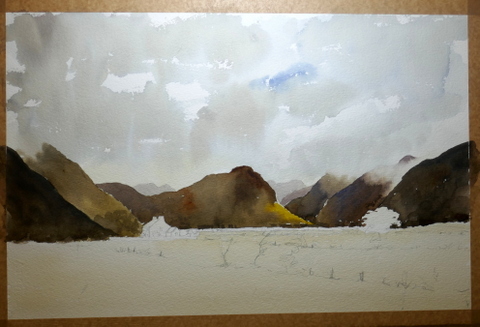 The nearest two mountains with more mixed greys tending to green and brown. Phil added tree lines along the lake, trees behind the house. 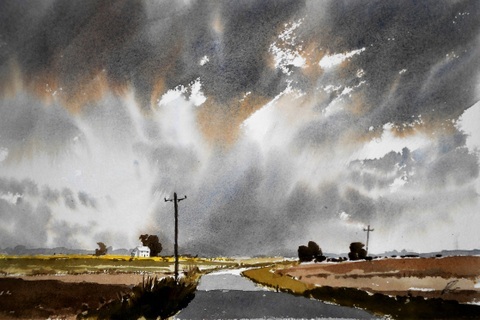 He then washed light colour into the fields and added a hedging across. Darker greens completed the foreground. Phil then worked at a conventional slope to complete the sky. 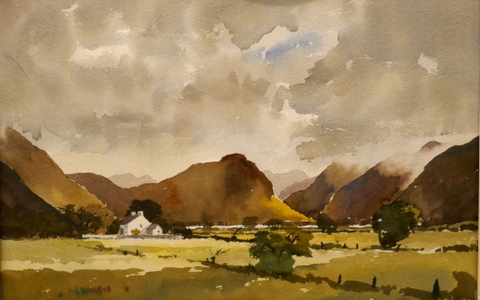 The painting at the end of the demonstration shows a dramatic sky and hills. 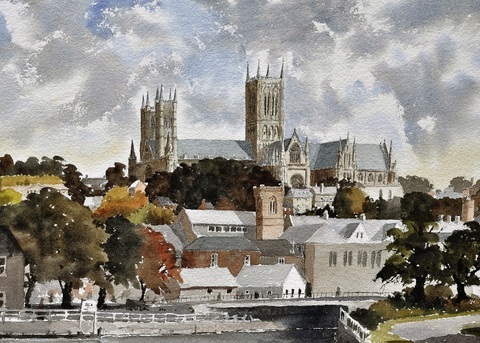 Images copyright of Phil Biggs, artist from Spalding, Lincolnshire UK.